Team: Carlos Olmos, Alberto Santos, Crescencio Martín, Enrique Toribio, Jose Manuel Navarro. We allow millions of users to make instant decisions about the purchase, sale, renting, investing and refinancing of a home – we also satisfy their curiosity. The real estate market’s information is opaque, outdated and biased. People demand new information in order to make a quick, informed decision. 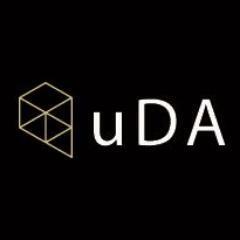 UDA originates from the union of two startups dedicated to creating indicators which allow the possibility of making economic, geolocated decisions. The union of both startups and the transversality of its team with experience in the real estate market, online business and big data, allowed us to focus all our potential and efforts in the real estate market. The internet offers instant information in order to be able to make decisions in the real estate market based on criteria of profit and price. The possibility to use that information in a geolocated manner enables people to compare large quantities of real estate assets in realtime. We are currently collaborating with two big international real estate websites in addition to international investment funds whose strategy is to position themselves in the Spanish market. After a two month implementation process, on 1 July, we will launch our platform in a South American country. Odine is the perfect incubator to find partners in the sector with whom we can launch our platform to other European countries. ODINE is ideal for developing, in less than one year, our B2B business into a B2B2C business. The world of open data and Big Data is enormous and exciting, but few companies identify which data is most valuable to their clients. The internet and big data is changing markets that have remained the same for decades.